Manan Ahmed is interested in the relationship between text, space and narrative. His areas of specialization include Muslim intellectual history in South and Southeast Asia; critical philosophy of history, early modern and modern South Asia. His monograph, A Book of Conquest: The Chachnama and Muslim Origins in South Asia (Harvard University Press, 2016) is an intellectual history of a text— the early thirteenth century Persian history called Chachnama— and a place— the medieval city of Uch Sharif in southern Punjab, Pakistan. From the vantage point of that text and space, the book presents a vision of being Muslim in South Asia over this longue durée, while resisting the narratives of ‘foreign-ness’ and ‘otherness’ that assemble around the Indian Muslim subject. His current research is a comparative, global project on philosophy of history stretching from the thirteenth through nineteenth century, focusing on Arabic, Persian and Urdu histories and their relationship to the emergence of “World History” (Weltgeschichte) in the nineteenth century. He recently co-organized two scholarly gatherings in regards to this project— “A History of Difference: Piety and Space in Early Modern West Asia” and Indo-Ghuria: Continuities and Ruptures in 12th-13th-Century South and Central Asia. He is the co-founder of the Group for Experimental Methods in the Humanities at Columbia. 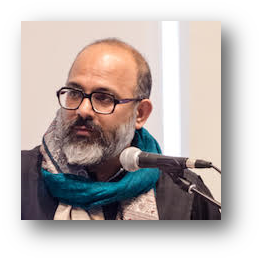 His work in Digital History focuses on spatial and textual understandings of medieval past— a recent collaborative project is “Delivering post by foot in medieval north India.” He is also guiding the “Manuscripts of the Muslim World” digitization project. Quarantined histories: Sindh and the question of historiography in colonial India- Part I. History Compass, 2017;15:e12403. Quarantined histories: Sindh and the question of historiography in Colonial India—Part II. History Compass. 2017;15:e12398. A Book of Conquest: The Chachnama and Muslim Origins in South Asia. Cambridge: Harvard University Press, 2016. “Advent of Islam in South Asia” in Roger Long (edited), History of Pakistan, (Karachi: Oxford University Press) April, 2014. Where the Wild Frontiers Are: Pakistan and the American Imagination. Just World Books, 2011.